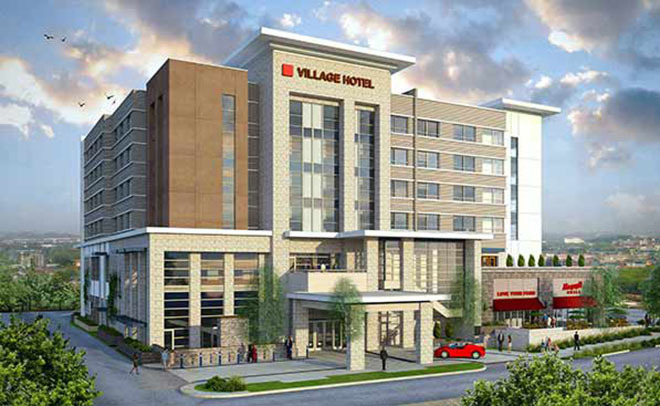 The 6-story Village Hotel is part of the Village at San Antonio Phase II project. This 165-room, the 5-star hotel will be a boutique hotel by an internationally recognized brand and will cater to the Silicon Valley. It is 137,000 S.F. and includes an additional 13,500 S.F. 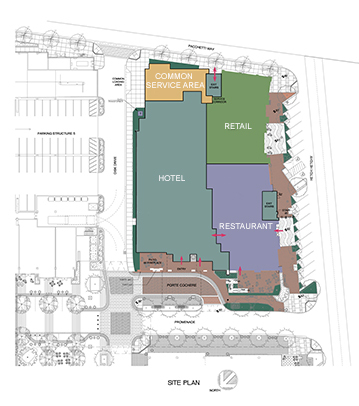 of retail and restaurant spaces located on the first floor. Parking will be in the adjoining parking garage. 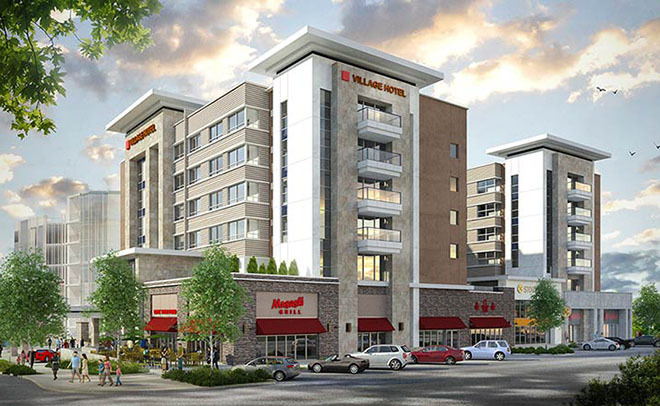 The hotel will also have its own restaurant and bar amenities. The second floor will incorporate a fitness center, outdoor pool, and spa, with adjoining activity deck and a seasonal bar. There will be 5,000 S.F. of meeting facilities. The hotel exterior utilizes a material palette comprised of a ribbed metal panel system, stucco and stone veneer.